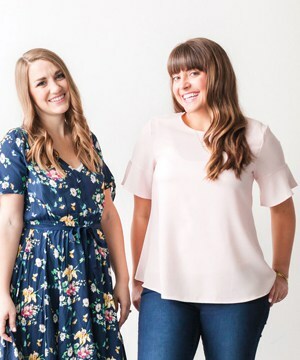 You know those things you put on your to-do list but never get to, so you put them on the next list and the next and before you know it that thing has been on your list for like, two years?! I finally get to cross one of those off! 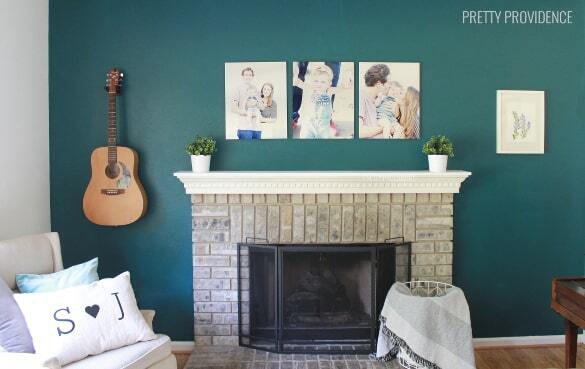 I have wanted to create a gallery wall with pictures of our families forever. 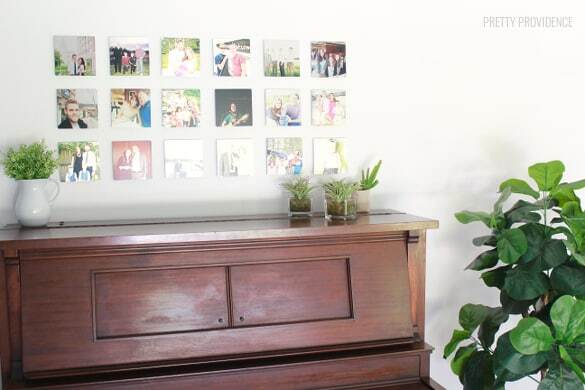 It should have been easy, but my husband has four siblings and I have five, plus three sets of parents between the two of us, so it really wasn’t that easy to find a wall-worthy photo of every single person. Some of our dear family members just don’t take pictures very often! So, I kept putting it off until I finally came up with a way that I wanted to display them, and once I knew that I just decided to go for it. I did whatever I had to do to get a photo of everyone, even if that meant Photoshopping myself and my husband out from in between his parents! Haha. I always want my walls and my home to reflect our values; family, friends, and the fun we have together! 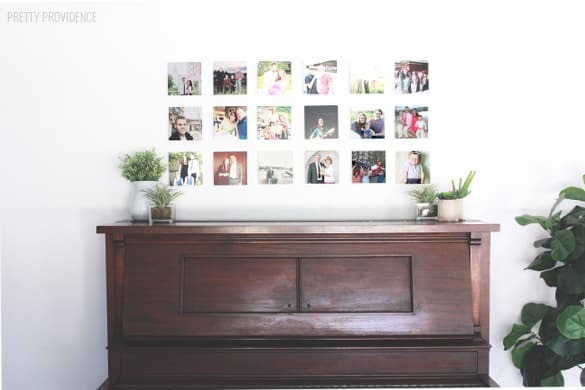 We like to add personality to our décor whenever possible so photos just need to be there along with the art, music paraphernalia and other items we display. 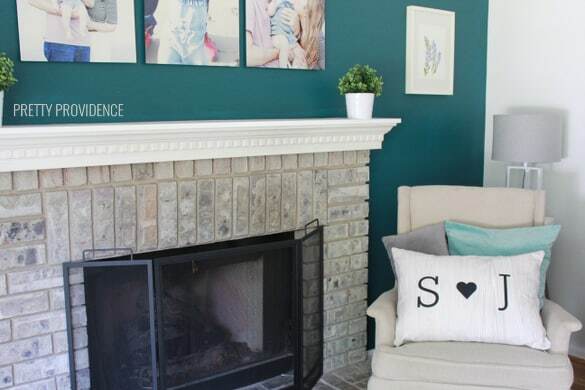 I was browsing Shutterfly and was super inspired all of a sudden to personalize my family room. 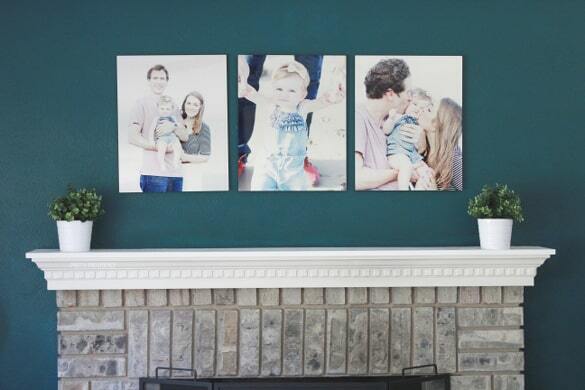 I fell in love with their mini-metal prints and I knew that it would be a great way to create a nice, cohesive display even if the pictures weren’t filtered the same or cohesive in any other way. They also have home décor and it’s the bomb. I couldn’t resist getting a S + J pillow (on the back it says FOREVER) and throw blanket that says “Let’s Snuggle” as an early anniversary present. I also decided that I’d like some bigger metal prints, which gave me an excuse to get our little family of three dressed up to take some photos on the beach. I am loving how much more personal my family room feels now! Here are a few more photos. Ahhh… isn’t a freshly decorated room the best? It’s my favorite place to hang out now! This room was already cute, but I love it even more now! Ahhh… this room is so cute! And it looks so comfy and inviting! Great job lady! PS I love Shutterfly! Aww thanks so much!! You are the best! 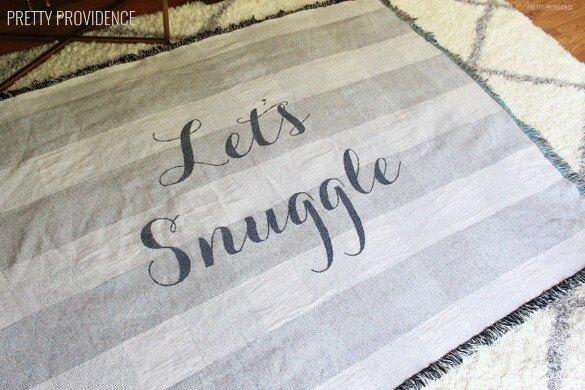 I love that Let’s Snuggle blanket! The photo display looks amazing. Isn’t the blanket the best?! And thank you so much! Aw, I love how this looks!